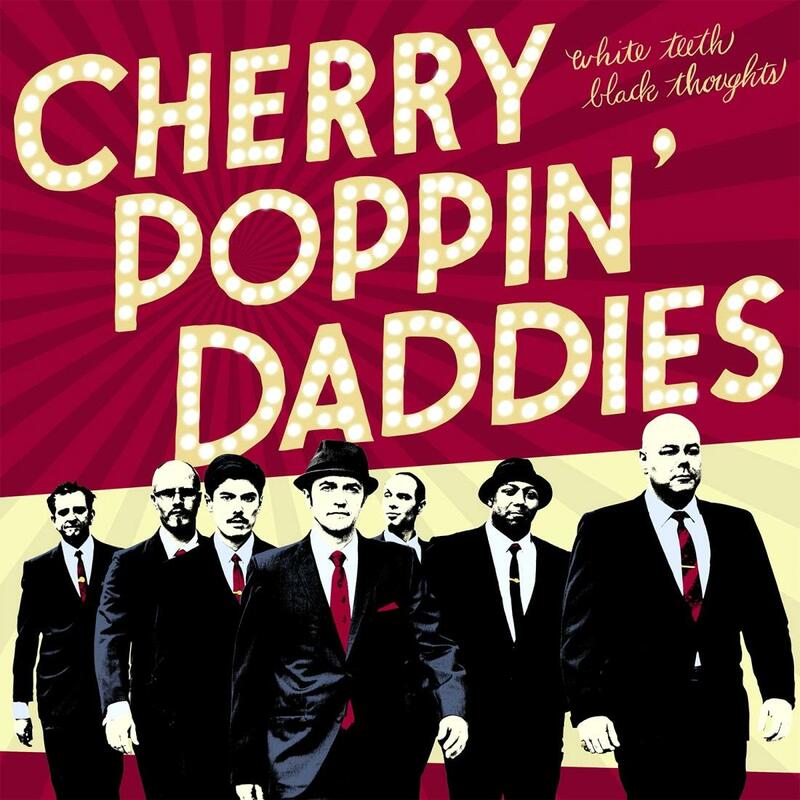 Masters of both extraordinary elegance and bird-flipping fury, CHERRY POPPIN’ DADDIES are indeed the real deal. Ever impossible to pigeon hole, White Teeth, Black Thoughts sees the Eugene, Oregon-based big band pushing themselves to the outer limits of inspiration and invention, resulting in two-count ‘em-two distinctive collections. The primary album marks CPD’s first jazz and swing-powered outing in more than a decade, while the exhilarating bonus disc is built upon a twisted frame of guitar-slinging rock ‘n’ roll. Perry once again affirms his standing as a songwriter, band leader, and bomb thrower of the first order with songs like the defiant “I Love American Music,” utilizing deeply embedded textures of the past to directly and provocatively face up to our present and future. 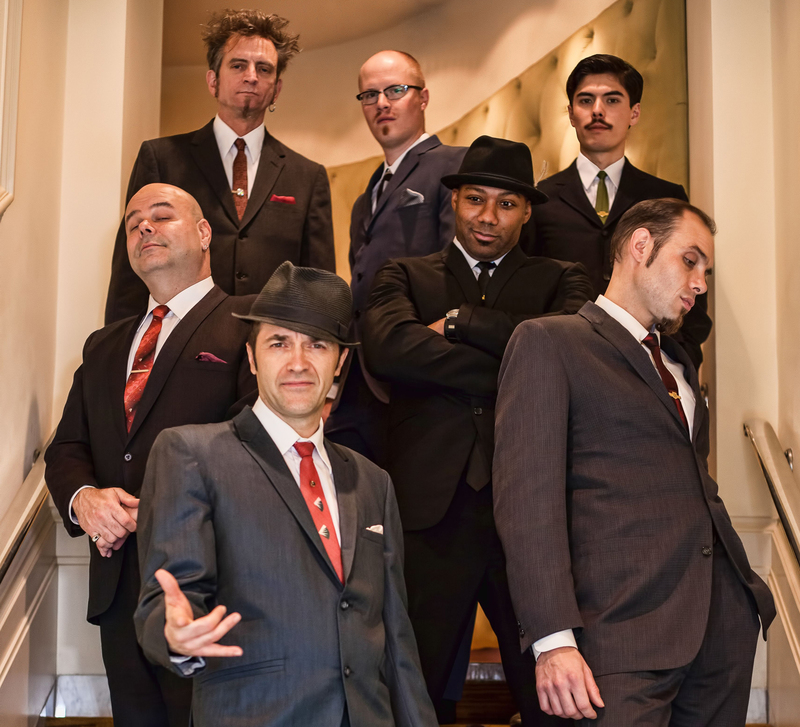 As brave and articulate as it is boisterous and celebratory, CHERRY POPPIN’ DADDIES’ White Teeth, Black Thoughts is the souped-up, swinging sound of America’s dance band playing as the ship goes down. Steve Perry and his band hide sophistication within catchy songs, mocking mainstream expectations with every note. Their laid-back punk approach to Swing, Jazz and Rock is refreshing and works precisely because it ignores genres. In 2014 the band will be playing various festival and club shows all over Europe. This entry was posted in Press Releases and tagged Andy Page, Black Thoughts, Cherry Poppin Daddies, Cherry Poppin Daddies new album, Cherry Poppin Daddies white teeth black thoughts free download, Dan Schmid, Dana Heitman, Joe Freuen, Paul Owen, Peope Like You Records, Steve Perry, White Teeth, William Seiji Marsh, Willie Matheis. Bookmark the permalink.